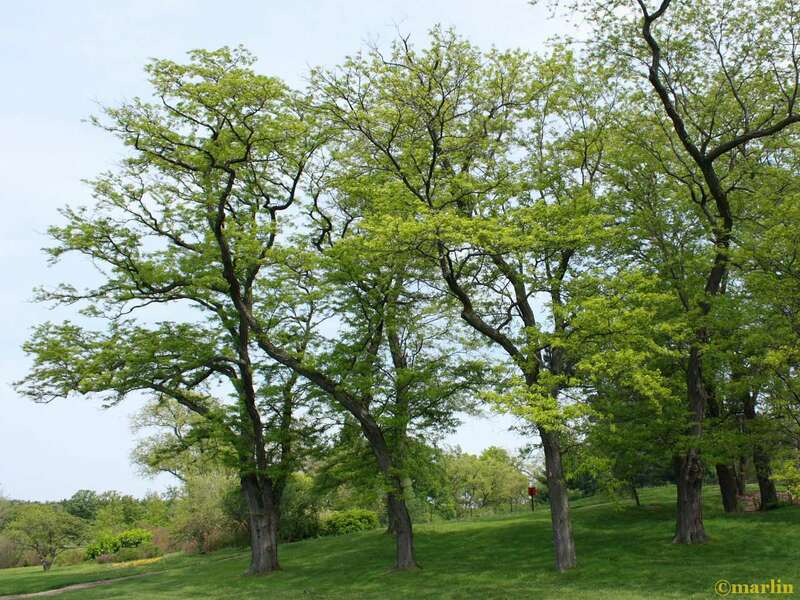 The thornless honey locust has been an exceptionally popular tree for all types of landscapes. Small leaves on the open canopy allow pleasantly dappled light to reach the ground. The ability to grow grass under these trees has helped them reach the popularity they now enjoy. Unfortunately, numerous pests and diseases have infiltrated populations of honey locusts, and popularity has declined. 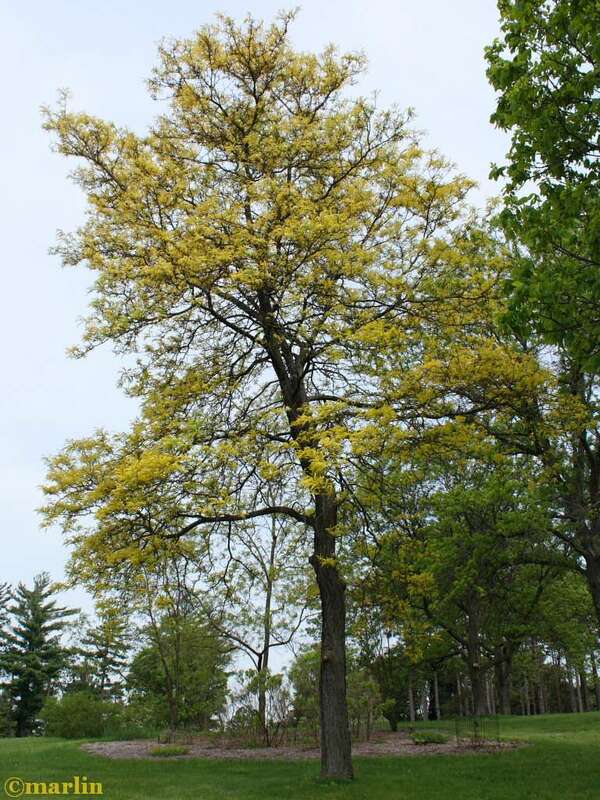 This Sunburst Honey Locust is 54 years old on May 10th, 2011 at The Morton Arboretum. It was planted in 1956. Trees provide food: Having a wide variety of trees that provide seeds, nuts and fruit for wildlife to eat is one way to increase your success in attracting wildlife. although artificial bird feeders can supplement naturally occurring foods, they can attract unwanted pests such as pigeons, Canada geese, squirrels, and even rats. 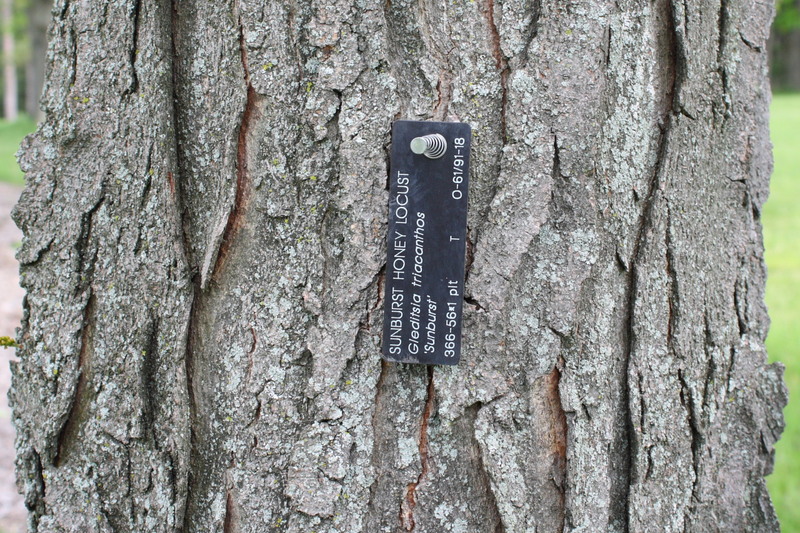 Trees also provide food by attracting insects and providing cover for their activities; mating, egg-laying. 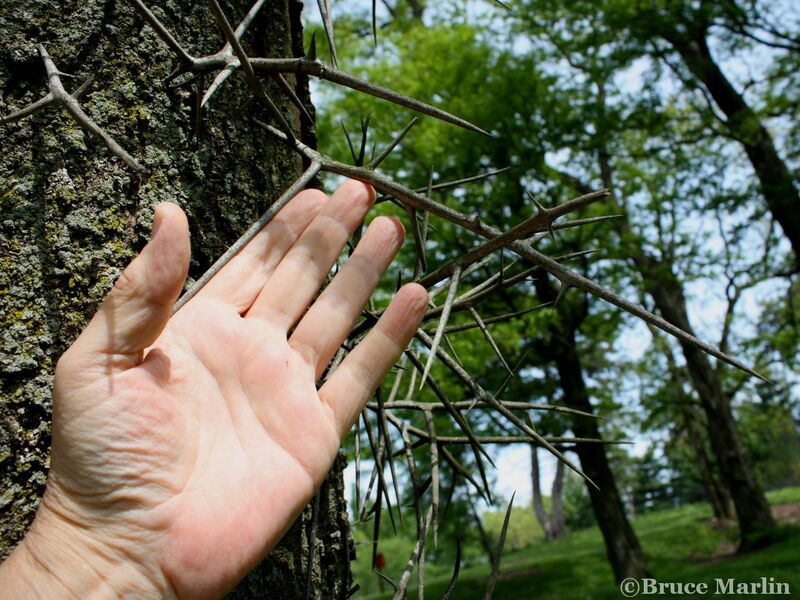 Japanese locust thorns; this ancient defense mechanism has been bred out of many modern species.